If you can dream it...YOU CAN DO IT! You can dream it, say it, think it all day but if you aren't pursuing it then what's the point in having the dream. You can't achieve a dream without doing something to take actionable steps toward your dream. Listen if you are serious about changing your life you'll do everything you can to get there. Ask yourself: Am I willing to do everything it takes to become my own boss? Am I really up for the challenge? Being a creative person it can be hard to just pick something because you have so many things you want to create! Your ideas are awesome why not do them all but first let's start with a base. Find one thing that you know you will excel in! For me I like a lot of things but I know I'm good at photography. Don't worry if you aren't the best in your field just put it out there and let people know that you are good at it! So go ahead and pick one of your amazing ideas and run with it! Now that you finally got an idea it's time to start thinking about how you can make it a success! I like creating a spider map just like we did in school. Write down your dream goal in the middle. Then add categories branching out from your goal, keep adding on to every idea branching out until you can't think of anything else! What is a Spider Map: The large central circle is your main idea or goal, and the branching lines are used to jot down the categories of that goal. You can then branch off on those categories to make subcategories and so on! It's a great way to organize your thoughts. Write out your goal then branch off and figure out how you want to make your dream goal come true! Now it's time to prioritize and figure out what you need to start on first. Create the big goal first and then then sort it into smaller goals like things to do now, things to do later, and fun ideas to consider after all other lists are completed. Include people in your dream. This leaves you accountable and if you add the right people on your team they will encourage you. So find people in your niche or has a business mindset and get acquainted with them. Reach out and find people that you'll be able to work with and help each other out. Find 1-2 New People this week and engage with them on social media. Now you don't have go broke to invest, however, you can make your money work for you and your business. So if you need to take a course, need a new camera, need employees, or maybe you want to create your own website with a domain, go for it! When you invest, it's motivation to keep going! You do know you have to make time for your dreams right?! So take time out of each day to invest in your dreams when it comes to time management. Maybe it's in the morning for some or if you are like me and can only function at night take an hour or 2 and get sh$T done! Adopt a Success driven Mindset! You will not get anywhere constantly saying things like "I can't" or "Its to hard." You have to have the mindset of completely surrendering to you dreams and doing whatever it takes to make your dreams a reality. Act as though you already have a successful business. Now I don't mean actually going back to school, but hey if you need to, do it! What I mean is start researching, taking notes, learning from the best. Find time out of your day to constantly learn one to two new things. If you don't learn you'll never grow. If you are wondering how something works...look it up! Honestly you don't always need to take a course to find the right information it's all laid out to you with google, Pinterest, and books! Save your money and get to researching. Find one new thing to study each week and dive deep into it! Get out of a Microwavable mindset! Stop wanting things to happen in an instant...this isn't a 1 minute oatmeal packet you put in a microwave! It's not going to work out if you think it's going to be easy for your dreams to come true! You'll have setbacks, you'll have come ups, things will knock you down, something may happen in your life that you have no control of, but, you can't just give up after setbacks. You also can't sit back and think just because something went viral or you are having a successful moment that you are in the clear. You have to keep learning, growing, and stay humble above all else! Successful business owners never give up. If something isn't working they research and they learn ways to improve. They don't get anywhere by just lingering in a defeated mindset. They get up and they keep working. Give it all you got exercise the strength from within to defeat any obstacle that may come...trust me they will come! 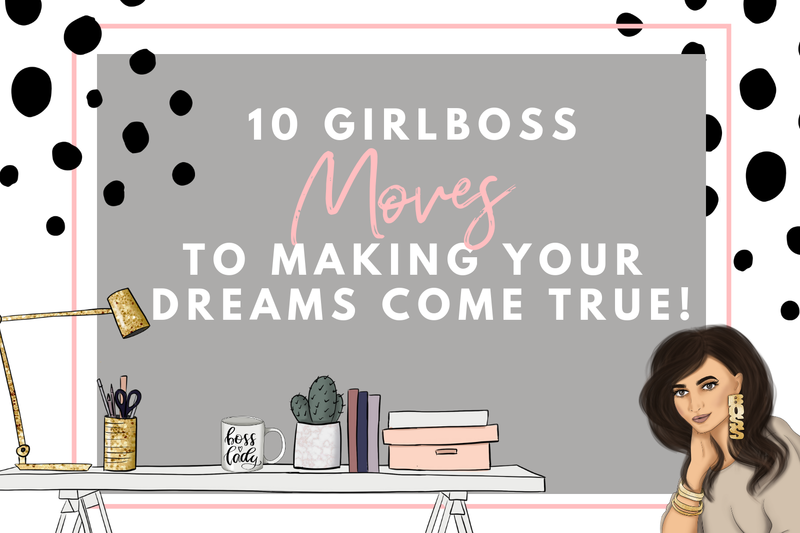 If you are willing to go through all of this, well then girl you are so ready to be a girl boss! Join me on my journey to become my own boss because I'm going to be helping you too! With my new blog topics I'll be helping you as well as myself figure out what we want to do in terms of business, how we want to do it, actionable step on getting there, and staying there! This month is all about getting in the right mindset. 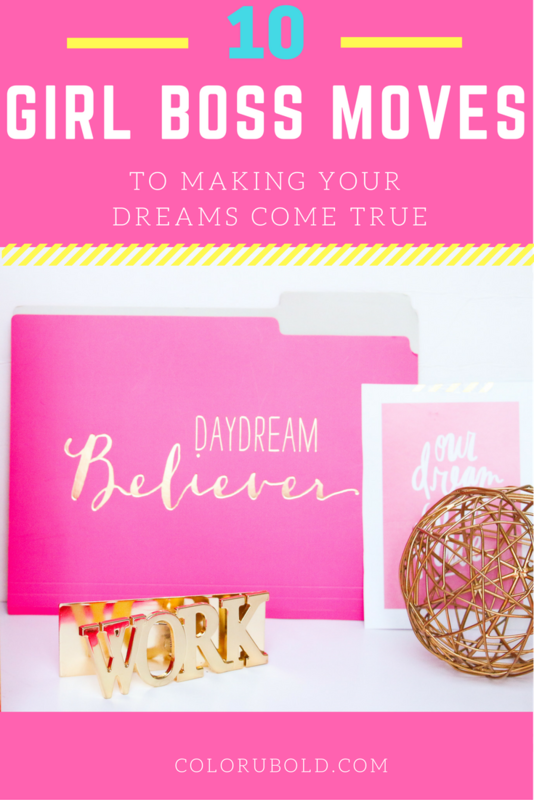 I'll be providing you with worksheets, workbooks like this one, and email only tidbits into making your dreams come true! Think of me as your big sister that is learning, growing, and helping you out as I learn! What's Holding You Back from going after Your dreams? loved this post Jasmine!!! so informative!! This was such a great post full of really fantastic points. I especially think you need to invest in your dream! Yes its so true to invest! These are such awesome tips! I think the most important ones (that go hand in hand) are don't expect results immediately and stick at it! Great post! OMG yes!!! I know these two points all to well! Thank you!